Coffee growers, traders, roasters, and retailers around the world state their commitment to improving coffee sourcing practices using SCC’s Commitments Survey. Join Starbucks, McDonald’s, Walmart and many other coffee organizations striving to make coffee the world’s first sustainable agricultural product — state your commitment today! Track and share year-over-year progress toward your coffee commitments. SCC’s Reporting Survey lets you set your organization’s key metrics and instantly share your cumulative progress with the world on the Commitments Hub. Retailers can join the network and request TSC Coffee KPIs from supplier roasters with one click. Suppliers to Walmart and other retailers can complete reporting without hassle, store year over year responses, and tap into a range of additional benefits. Easily generate TSC Coffee KPI’s using SupplyShift’s streamlined supply chain data collection tools. Target top areas for improvement and gain new supply chain transparency with TSC’s Coffee Supply Chain Toolkit. SupplyShift’s platform adds improved usability, enhanced tracking, and instant analysis of TSC’s indicators. Developed by the Partnership for Gender Equity with support from the Global Coffee Platform, this indicator set enables the collection of household and producer organization data, along with data collection guidance documents. Join non-profits, traders, roasters and more in the use of these indicators, which have all been collectively developed and validated by a group of industry actors. Additional GCP indicator sets will be available soon. 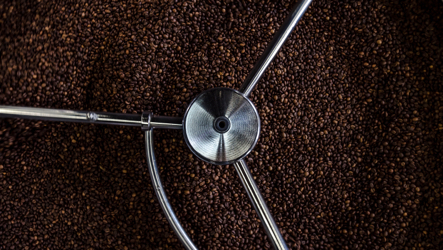 Off-the-shelf assessment tool to map your coffee supply chain down to the farm level. Use SupplyShift’s easy multi-tier cascading feature to map the flow of your goods — from point of origin to final product. Results automatically roll up to compute the traceability KPI for Walmart Sustainability Index and provide insights to embark on your next phases of responsible sourcing. Thank you for your interest in our coffee supply chain solutions! Send us some basic contact information and we will reach out with more information. If you are interested in adding your coffee project or assessment to the SupplyShift Coffee Essentials Library, send us a message and we’ll reach out to connect!